Rainfall, temperature and streamflow are climatic elements which play major roles in influencing the hydrological activities and human’s life. This paper aims to investigate the trend of temperature and two hydrological data involving rainfall and streamflow in Johor. The rainfall data used in this paper was obtained from 10 stations for the period of 30 years (1986–2015), while the temperature and streamflow data used were obtained from 10 and nine stations respectively for the period of 10 years (2006–2015) for temperature and 30 years (1986–2015) for streamflow. In this paper, the Mann-Kendall test and Theil-Sen estimator were used to analyse the trend of the data. The results from Mann-Kendall test indicate that there are significant decreasing trends for annual rainfall at three stations which is Empangan Sg. Sembrong, Pintu Kawalan Parit Jawa and Felda Bukit Batu stations and a significant increasing trend at Pusat Kemajuan Per. Pekan Nanas station. While for temperature, the results show significant increasing trend at Batu Pahat, Mersing, Senai and Mardi Alor Bukit Pontian stations and a significant decreasing trend at Majlis Daerah Labis station. For the streamflow, the results show significant increasing trend at Sg. Endau station and significant decreasing trend at Sg. Kahang, Sg. Bekok, Sg. Lenggor, Sg. Johor and Sg. Segamat stations. The results for Theil-Sen estimator correspond with the results from the Mann-Kendall test. This trend analysis is important in predicting future pattern and preparing proper plans to face any upcoming disasters. 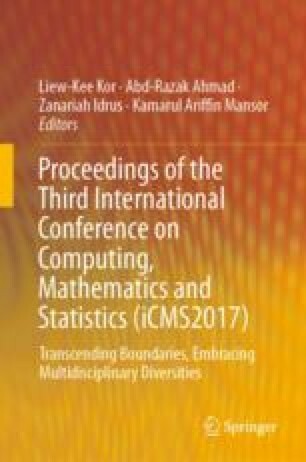 The authors would like to acknowledge Ministry of Higher Education, Malaysia and Research Management Centre, UTM for the financial support through research grant vote number Q.J130000.2626.12J45 for this research.